This week we present the final installment of Bill’s Big Trip to Washington in 2011. The two markets we will be looking at are Moses Lake and Wenatchee Markets. There are so close to each other and have overlapping coverage that they could almost be considered to be one market. However, for the purposes of Toppy we have chosen to split things. Most of the clips are refreshes with one clip from a station new to Toppy – KDRM 99.3 in Moses Lake. I am not sure what we will feature next week, but I am sure will find something in our archives. This week we feature the Yakima Washington Market. Like last week, the recordings were made at the Rye Grass Summit between Vantage and Ellensburg. There are three stations that are new to Toppy. Hope you had Happy Easter and Happy Passover. This week we feature some clips from stations just outside of the Spokane core market. From the Sandpoint-Bonners Ferry Idaho Market we present KPND 95.3. This progressive rock station attempts to serve Spokane, but it is a marginal rim shot and has problems with fading in some parts of the town. From the Lewistown-Moscow Idaho market, we again present a couple of rim shot stations, one on AM and one on FM. (Can an AM station be a rim shot? I think so, because KMAX 840 Colfax in effect is one for the Spokane Market. It puts in a good signal in the southern part of Spokane but not-so-well in other parts of the town.) KZZL-FM is another station that can be heard in parts of Spokane with a fairly good signal, but only in areas where there is no topographical obstructions between Pullman and Spokane. 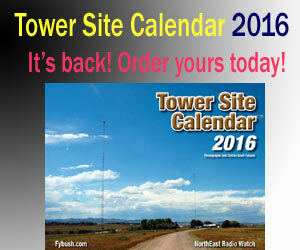 We also include a number of stations from the Tri-Cities WA market. Most of the Tri-Cities stations, except for ones like KWHT 103.5, don’t regularly make it to Spokane except during trop openings. All but one of the clips are refreshes, and that one is a call change of the Walla Walla station on 95.7 from KNLT to KKSR. I recorded most of the stations from this market at the Ryegrass Rest Stop on I-90 between Vantage and Ellensburg. Next week will we look at stations in Central Washington. Next time we will start with stations in Eastern Washington and Northern Idaho. There are three new HD clips this time as well, KIXZ-HD2 96.1 (The Mother Trucker), KISC-HD2 98.1 and KKZX-HD2 98.9 (The Blues Channel). Next time we will finish up with the Spokane Market. This week we venture into the lower end of Spokane’s FM dial. The biggest news in this part of the band is the power upgrade and frequency change for KYRS. It is a community station licensed from nearby Medical Lake and serves the greater Spokane area with a main transmitter west of Spokane and a translator closer to Spokane proper. Also new to the market is KYMS 89.9 Rathdrum. Idaho. Although its signal reaches Spokane on selective radios, it mainly serves the area just east of the Idaho border from Spokane. Until next time, happy listening.